Approximately thirteen million people around the world define themselves as Jews, with the majority residing in the United States and Israel. This collection portrays the diversity of Jewish experience as it is practiced and lived in contemporary societies. The book's attention to material culture offers a much-needed addition to more traditional views advanced in the study of Judaism. 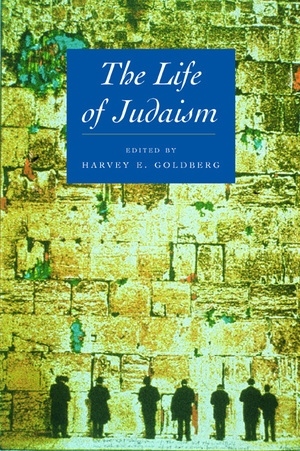 Through ethnographic and autobiographical perspectives, the essays provide an appreciation of Judaism in daily activities, from domestic food preparation to worshipping; Jewish attachment to the cultures of specific communities, be they in Russia or Morocco; the impact of the Holocaust; the place of the State of Israel in Jewish life; and the role of women. Harvey E. Goldberg, a leading scholar in the anthropology of Judaism, provides an introduction to each chapter that demonstrates the links among the various themes. Ease of communication and travel has resulted in frequent contact--and at times, conflict--between Jews of similar and diverging backgrounds around the world. Visiting distinctive Jewish spaces has become a way of cultivating specific identities and senses of a Jewish past. As ritual, prayers, and attitudes toward authority undergo new constructions and interpretation, Judaism of "the book" also takes on new forms. These essays go a long way in helping us understand a contemporary and multifaceted Judaism, along with its history and texts. b>Harvey E. Goldberg is Professor of Sociology and Anthropology at the Hebrew University of Jerusalem. He is the author of Jewish Life in Muslim Libya (1990) and editor of Sephardi and Middle Eastern Jewries (1996).